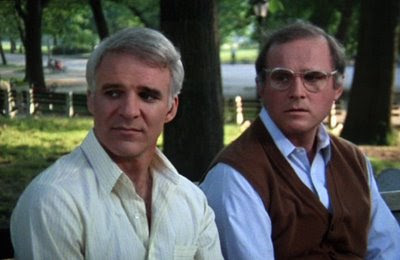 Steve Martin's underrated 1984 comedy about loneliness is one of my favorites. Martin plays a greeting card writer trying to cope with the single life after being dumped (referenced in 500 Days of Summer). The great Charles Grodin plays his sad-sack best friend. He steals every scene and their conversations are priceless. It also has a nice low-key score by composer Jerry Goldsmith. If you're feeling lonely and like zany 80s comedies, check it out. "I am becoming somewhat of an expert on poop." I just loved your way of presentation..Its something unique. You have begun the post in a notable way..Really liked it..Your approach to this post is unique and appreciating. Thank you for sharing,.